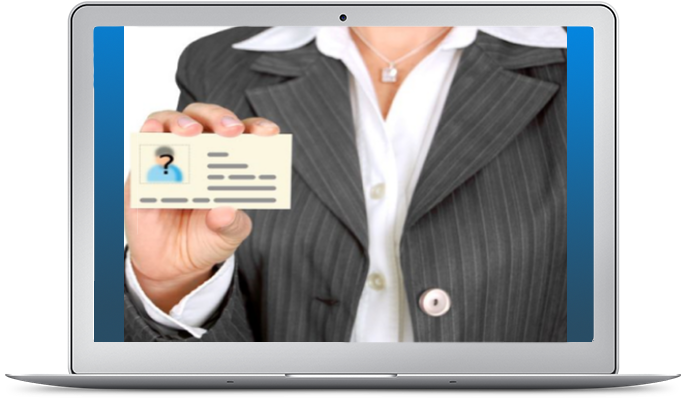 ID-Direct is a Web-based solution that allows you to quickly and conveniently authenticate individuals online. Instantly verify the age and identity of website visitors against a comprehensive database of government-issued ID’s for citizens of 135 countries around the globe. The Integrity search format algorithms are compliant with internationally-accepted age verification laws and guidelines, and the information is returned in real time. With a database covering over 3.4 billion citizens worldwide, you can be confident moving forward in a global environment. Using information gathered from your customer to meet KYC requirements (given name, surname, address or zip code—at a minimum), a list of questions is generated that uniquely relate to the individual. Voter data—that is not found on any credit report—is drawn upon to offer a wider variety of questions than credit bureaus or credit-centric KBA systems. Specify the amount of time a client has to answer identity questions and fine tune the restrictions on successful verification. A velocity check restricts or bans subsequent attempts at verification in the event that a client fails the initial questions. As part of the Integrity IDV, Integrity Quiz, Integrity Documents and Integrity Face-to-Face, client information is checked against SSN dead rolls, OFAC, DFAT, HM Treasury, DEA, LEIE and 10 other global financial watch lists. Integrity also checks for PEP individuals that may need to be tracked and provides a flag response in the event there is a match. AutoDoc scans a Governement ID instantly and then populates the information to the user profile or Web form. AutoDoc takes scanned information and checks it against global identity data for fraud and KYC purposes. How do you quickly acquire your customer and verify that individual’s data, all from a mobile device? Using AutoDoc with one snap of an iPhone or Android camera, your customer can be on your site faster than they can enter name, address and phone number. The verified profile is passed to your customer profile system. Scan paper or government ID documents and an Integrity identity compliance expert will compare document images with global standards. Quickly upload documents through a webpage, email the images to our experts, or utilize multimedia platforms, such as Skype, to have a 100 percent verification check performed. Compatible applications include iPhone and Android, HTML 5, and PC. Integrity’s video verification is a fully documented interaction in a secure, auditable form. Through secure video streaming such as Skype™, our compliance specialists take a real-time photo of an individual using that person’s webcam and compares that image to either one provided in a previously uploaded identity verification session or with the real-time capture of an identity document image during the verification session. Integrity offers validation rates that exceed 90 percent for most financial services clients and a measured risk-based approach to KYC. Integrity then layers Integrity GeoLocate, Integrity Document and Integrity Face-to-Face to meet financial compliance. The use of non-credit data, as well as credit header information, provides a more complete picture of the customer for KYC. As risk elements or cues are found in the assessment of identity verification, a range of increasingly more specific validation processes is provided. Starting with basic identity verification (Integrity IDV), clients can move to Integrity Quiz, Integrity Documents or Integrity Face-to-Face—as risk merits a more precise solution.